BAGHDAD (Reuters) – A senior Iraqi official said on Thursday that the new parliament would be held indefinitely and that July would be crucial to consultations on forming a government. “There is a consensus not to prolong the constitutional vacuum in the country,” Al-Arabi al-Qadri newspaper quoted the official as saying. “It was also agreed that the counting and counting would be completed within one week of the start of the operation. Judicial results “. The minister, who asked not to be named, said that “then there will be a call for the new parliament to be convened at the beginning of next August at the latest,” noting that “the month of July will be crucial in consultations to form a government, and the announcement of the mass bloc will be after the ratification of the results “He said. He revealed the “near the arrival of a senior US official to Baghdad in the coming days to try to convince the Kurds and Sunnis, to resolve their options and their future representatives of the government, as well as support of Prime Minister Haider Abadi in the current period of business. The political scene is witnessing a wide movement among the winning forces in the elections that took place on the 12th of May to form the largest bloc Niaibia in preparation for the task of forming the next government. (Baghdad: Al-Furat News) a few hours, the end of the life of the third parliamentary session of the current parliament, which ends in accordance with the Constitution on Saturday, 30 June. According to a previous interpretation of the Federal Supreme Court, the duration of the electoral cycle of the Council of Representatives shall be effective from the first session and extends for four calendar years and the end shall be by the end of the fourth year of that session. The current parliamentary session ends with the end of the official term of the House of Representatives. And seeks some of the “losers” in a desperate attempt to hold a meeting on Saturday at 1 pm, to extend the life of the parliamentary session through the vote on the Fourth Amendment to the Law of the House of Representatives No. 45 of 2013. Sources informed parliamentary sources that these deputies abandoned a project to prolong his life By dropping the extension clause from the agenda of the meeting, and maintaining one article, namely the adoption of the total counting and counting of the election results and not the partial. It was scheduled to hold a meeting, Thursday, was strongly mobilized, as announced by a number of deputies, who were called «losers» to ensure the presence of 165 deputies to be passed the law that was read last week read the first and second, but according to sources From within the parliament, he did not attend the Chamber of the Council more than 15 deputies in the absence of Parliament Speaker Salim Jubouri, who is the most prominent losers in this session. 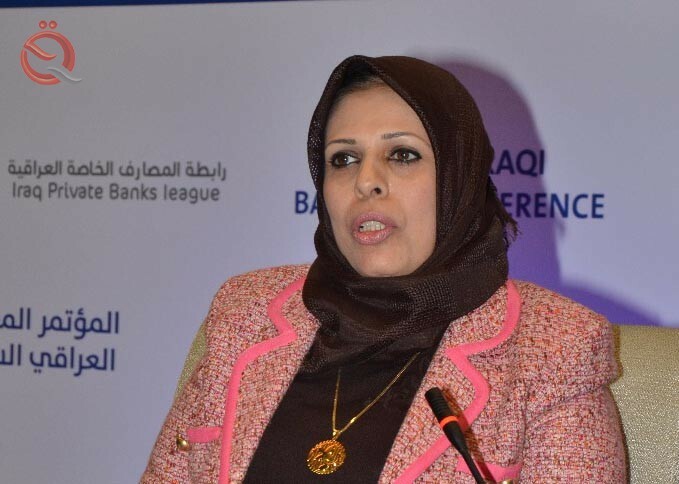 The President of the Association of Iraqi private banks Wadih al-Hanalal, Friday, that Iraq has sought in recent years, led by the Central Bank and the participation of the Association of Banks, to promote the Iraqi banking sector because it is the main artery that feeds and activates the Iraqi economy. Al-Hantal said during his speech at the Arab International Banking Summit, and attended by the “Economy News”, that “at the beginning we extend our best congratulations and congratulations to the Governor of the Central Bank of Iraq Ali Mohsen Al-Alak for his choice and merit as the best governor in the Arab region in 2018, to lead monetary policy in Iraq under difficult circumstances Iraq has passed through crises, most notably the war on terrorism and low oil prices, where the Central Bank of Iraq, led by the governor, proved to be an independent and solid institution capable of overcoming these difficulties. We also thank the Union of Arab Banks for choosing this and shedding light on the situation of the banking sector in Iraq”. He added that “Iraq has sought in recent years, under the leadership of the Central Bank of Iraq and the participation of the Association of Iraqi private banks,” he said, adding that “Iraq has sought in recent years, led by the Central Bank of Iraq and the participation of the Association of Iraqi private banks , To promote the Iraqi banking sector because it is the main artery that feeds and activates the Iraqi economy. “We call on the Arab banks first and the international banks to work seriously to establish banking relations with Iraq in order to open up mutual relations between the Iraqi economy and foreign economies, exchange experiences and knowledge, and thus build confidence and revive the economy. It is worth mentioning that the Central Bank of Iraq has adopted ambitious plans to activate the financial coverage and also works to create all the technical requirements for this through the development of infrastructure where he established the central national division and a number of important electronic systems that are linked to Iraqi banks and worked to create the legal basis through To amend and legislate relevant laws such as the electronic payment law and to establish controls for the formulation of strategic policies. The Kurdistan Regional Government on Friday endorsed the decision of the Federal Supreme Court, the highest judicial authority in Iraq, not to be able to resolve the dispute between Erbil and Baghdad on the export of oil and gas from the fields of the region directly without returning to the Iraqi government, stressing that the Oil Ministry based on the call against Territory to the dissolved and expired Revolutionary Command Council Law. The Supreme Federal Court has recently asked the parties to appeal against the unconstitutionality of extracting oil from the Kurdistan Region and exporting it directly, the statement of the legal basis currently adopted in the application of the provisions of Article (111) of the Constitution relating to the extraction of oil and gas through the sale and how to distribute the proceeds of this sale. First: In the decision issued on 27 – 6 of the Federal Court stated that the Iraqi Oil Ministry based its claim to Article (111) of the Constitution, which stated (oil and gas is the property of all the Iraqi people in all regions and provinces), and the Federal Court that these Article (112 of the Constitution) laid down how to implement the general provision in Article (111), which must be implemented in accordance with a law to be legislated by the Iraqi Council of Representatives. So far, 12 years after the promulgation of the Constitution, This law shall be enacted in accordance with the attachment of the Federal Court to Article 112 of the Constitution T in the legal framework for oil and gas projects in all parts of Iraq extraction, sale and distribution of revenue areas. (The federal government administers the oil and gas extracted from the existing fields with regional governments) The federal government authority is to manage the oil and gas extracted from the producing fields before the constitution is in force on 20-5-2006, and not the fields explored and produced after that date, Which is not only available to the Iraqi Ministry of Oil and which is now operating under the Central Law of the Ministry No. (101) of 1976, and this law is contrary to the first of the article (112) of the Constitution because that law was issued in 1976, And the Federal Court and the substance of the article (112) of the Constitution has been canceled and indirectly (Ministry of Iraqi oil law), and Article 112 of the Constitution established a special provision and a restriction on Article 130 of the Constitution, which governs the generally applicable laws before 2006. (The distribution of imports in an equitable manner commensurate with the distribution of the population with a quota for a specific period of the affected territories …), the federal government other than this article is annually determine the share of the Kurdistan Region on the basis of “actual maintenance, not according to revenues from oil and gas, A census with the absence of the law of distribution of oil and gas revenues in Article (112) of the Constitution, which explicitly referred to this. (2) The federal government and the governments of the regions and producing governorates together draw up the strategic policies necessary to develop the wealth of oil and gas. In this regard, the responsibility of the federal authority has been determined, and for 12 years now no joint agreement has been implemented between the authorities of the federal government and the governments of the region and the governorates. The protest of the Iraqi Ministry of Oil by the law of the Ministry No. (101) in 1976 unilaterally without the consent of the Government of the Territory and the producing provinces, and based on the law, the lawsuit is invalid and contrary to the provision of Article (112) of the Constitution and which was based on the Federal Court to resolve the case. 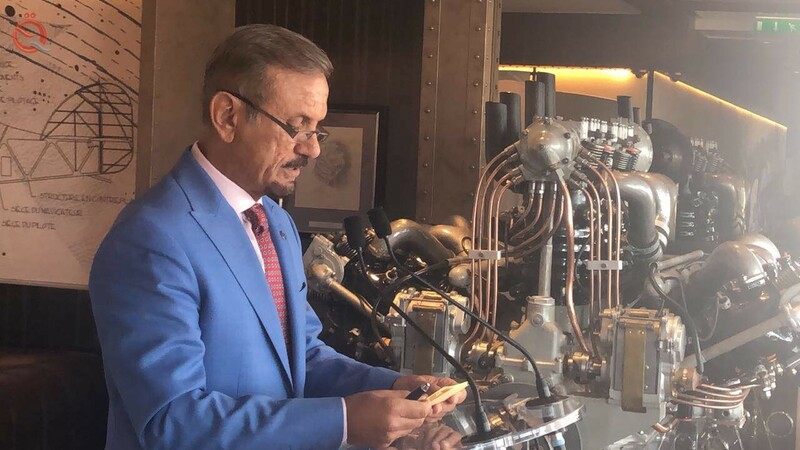 Rahim pointed out that the Federal Court asked the client of Iraq’s oil minister also to inquire that there is any agreement or understanding with the Kurdistan Regional Government in this regard or not ?. He said that so far Baghdad has not been based on any legal basis in the management of oil and gas and revenues from them, saying that Article (110) of the Constitution did not address the oil and gas At the same time, Article (115) of the Constitution indicated explicitly that it did not provide Article (110) of the Constitution on any specificity of the authority of the Territory, and in the joint authority gave priority to the Territory as having the law of oil and gas No. (22) for the year (2017). The Secretary of the Council of Ministers of the Kurdistan Region clarified that the constitutional basis for the management of oil in Iraq is Article 112 of the Constitution and not the Central Law Expiring No. 101 of 1976, which was based on the Iraqi Ministry of Oil in its established claim, Stressing that the law expired expired completely violates Article (112) of the Constitution, and the Federal Court in its last session pointed to that fact. Samok pointed out that “the court after having stood on the requests of the plaintiff contained in the petition and in a subsequent list and as the subject matter of the case concerned other parties on the subject, decided in previous sessions the introduction of the Prime Minister, the Federal Minister of Finance, and the Chairman of the Council of Ministers of the region / Third to stand on their constitutional positions on the subject of the lawsuit after it realized that the subject is a dispute between the federal government and the region and the consideration of its competence in accordance with Article (93 / IV) of the Constitution. He pointed out that “the court wants to stand on how to run the process of application of the provisions of Article (111) of the Constitution, on oil and gas from the start of extraction and through the sale and how to distribute the proceeds of sale and whether there is a law regulating this process other than the law required by Article (112) Which has not yet been issued are there bilateral agreements between the federal government and the provincial government and the governments of oil-producing provinces or other instructions or other, “Accordingly, the Federal Supreme Court asked the parties to the lawsuit and the third persons so that it can resolve the dispute between the Ministry of Oil and the Ministry of Natural Resources In the region In accordance with their terms of reference provided for in the Constitution and for the purpose of enabling them to do so and at their request it is decided to postpone the pleading until 14/8/2018. The Federal Supreme Court is the largest judicial authority in Iraq, which adjudicates disputes between the federal government and the regions and the constitutionality of laws, regulations, instructions and orders issued by any party. The Kurdistan Region of Iraq began to export oil independently of Baghdad in 2014 via a line owned by him to the Turkish port of Ceyhan on the Mediterranean Sea, and from there to the world markets. The KRG continues to export oil abroad, except for the Kirkuk fields, which have been shut down since October 2017 after Iraqi forces regain control of the fields. The territorial government says Iraq’s constitution does not contain any substance preventing it from developing oil resources in its territory. The regional government has signed contracts with major international oil companies – including Exxon Mobil, Rosneft and Ginnell – to develop its oil fields, which are pumping between 300,000 and 1,000 barrels a day. The Central Bank of Iraq, signed an agreement with MasterCard International to support Iraqi banks and payment service providers licensed to work according to international best practices in this regard, adding that the presence of international companies inside Iraq will be reflected positively on the citizen because it will increase services and reduce prices . Iraq’s top leader Ali al-Sistani said in a Friday sermon delivered by one of his representatives that Iraq’s leaders should focus on defeating an oppressive organization rather than the outcome of parliamentary elections. “It is not right to overlook this and concern about the results of the elections and the holding of alliances and conflict on positions and sites, but the requirements of the elimination of terrorists and the provision of protection and security of citizens in different regions and provinces,” said Abdul-Mahdi Karbalaii, Sistani’s representative in the speech that followed in the city of Karbala. A grouping of members of the Iraqi security forces was abducted and six of them showed up in an online video on Saturday threatening to kill them within three days if the government did not release female prisoners. But the Iraqi security authorities announced yesterday the killing of eight men by a hustler and throwing bodies on the road in the province of Salah al-Din.